The Rhode Island Library Association is pleased to announce that our Annual Conference registration is now open! The 2019 RILA Conference is packed with fantastic keynotes, breakout sessions, poster presentations, and networking opportunities for all library types. Register now to lock in early-bird rates! ​​Join your colleagues at the 2019 RILA Conference – we can’t wait to see you there! Early-bird pricing ends May 10th, so don't delay, register today! 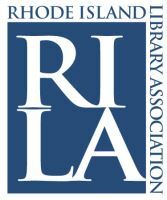 The Rhode Island Library Association (RILA) welcomes the School Librarians of Rhode Island (SLRI) into our organization as new RILA Section. “RILA’s mission is to serve all librarians in our state and this collaboration will help us to further this goal”, says Kieran Ayton, President of RILA. SLRI is a professional organization representing school library media professionals and support staff working for school library media, computer, and instructional technology programs in Rhode Island. The purpose of SLRI is to provide leadership and support for school library media professionals and support staff in the development, promotion, improvement, and evaluation of school library media, computer, and instructional technology programs in all Rhode Island schools. You can visit the SLRI website here. 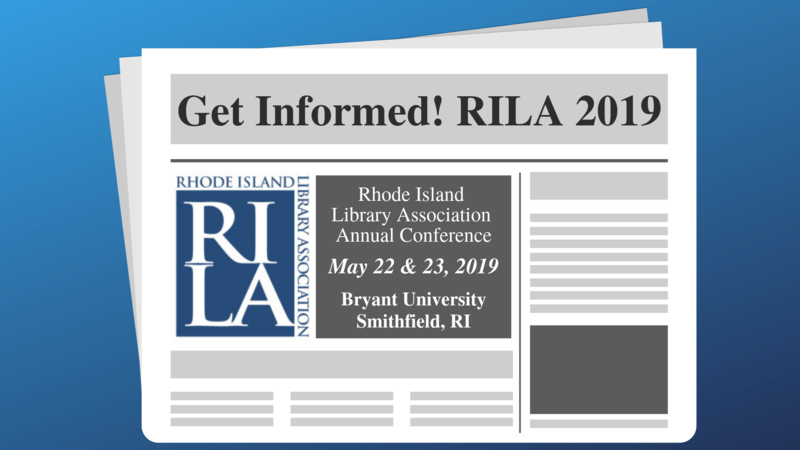 The Rhode Island Library Association (RILA) is a professional organization that serves its members through career development, education, advocacy, networking partnerships and legislative action. Through collaboration and community partnerships RILA will inspire and promote excellence in library services. 2019 RILA Conference: "Get Informed!" on May 22nd & 23rd at Bryant University in Smithfield, RI. The 2019 RILA Conference will launch a statewide news literacy initiative, featuring engaging sessions on news and media literacy, civic education and democracy, and many other topics of interest to public, academic, school, and special librarians and library staff. We can't wait to see you at the conference! Interested in presenting? Submit your proposal today! Conference proposals are due February 22nd. Sponsor & Exhibitor registration is now open! Please review our exhibitor package for details and contact conference@rilibraries.org with any questions. Looking for a Mentor? Apply for NELLS 2019 Now! Are you - or do you know - someone who is a new librarian looking for a mentor? 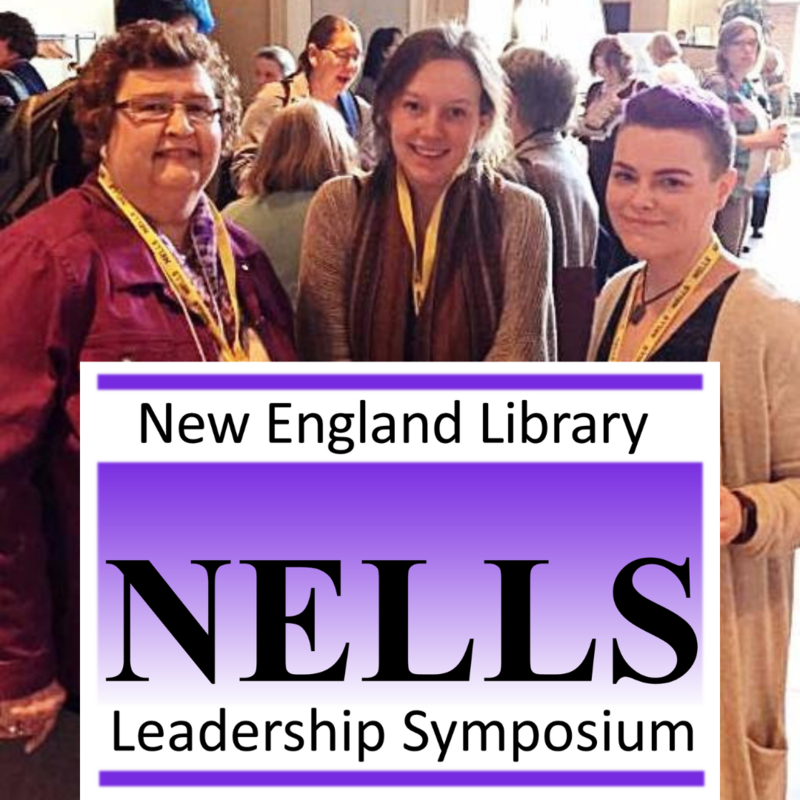 Please consider applying for this wonderful leadership opportunity through the New England Library Leadership Symposium (NELLS). RILA and OLIS contribute funding for mentors and mentees to participate in this five-day intensive training program designed to foster the mentoring and development of leaders in state and regional library associations. NELLS was created through a cooperative effort of the New England Library Association and all six New England state library associations. Please feel free to contact me with questions at president@rilibraries.org. NELLS 2019 - Now Accepting Applications! The purpose of this five-day intensive training program is to foster the mentoring and development of leaders in state and regional library associations. NELLS was created through a cooperative effort of the New England Library Association and all six New England state library associations. NELLS has been held six times since its inception in 2003, most recently in 2017. NELLS 2019 is taking place August 12th – 16th, 2019 at the Rolling Ridge Retreat and Conference Center, North Andover, MA. The tuition/housing fee for 2019 is TBD. Copyright © 2018 (c) New England Library Association, All rights reserved. You are receiving this email because you are an active contact with the New England Library Association. Cornucopia of Rhode Island: A Library Community of Color (CORI), begins 2019 as a section of the Rhode Island Library Association. A grass root organization CORI was founded in the fall of 2005 with a mission and goal to serve the library community of color and an objective to promote library services to people of color within Rhode Island and the development of librarians and library staff of color. CORI meetings has provided a forum that encourages the exchange of ideas and the discussion of issues, problems and concerns of librarians and library staff of color. Members are mentoring librarians and library staff of color and encouraging librarianship as a profession to people of color as well as promoting the development and delivery of multi-cultural collections, services and programs. Cornucopia aimed to present community conferences on the diverse minority groups in Rhode Island. The first conference held in 2005 was entitled “I is not for Indian” and was a total success as it enlightened the many librarians of the inadequate portrayal of Native Americans in children’s books and literature. This conference was followed by a workshop on the Chinese language and culture; a combined effort with the University of Rhode Island Confucius Institute. In following years CORI’s Fall Conferences as they became known, included the Cape Verdean Community, the Rhode Island Hispanic Community, and the African American Community. A community conversation on Rhode Island students included the president of the American Library Association, Barbara Stripling and United States Senator Jack Reed of Rhode Island. Senator Reed, a prominent advocate for libraries and librarians has supported CORI throughout its incorporation. CORI has also presented at the annual RILA Conference. The very first presentation was Dr. Carla Hayden, past president of ALA, former director of the Enoch Pratt Library and now Librarian of Congress. Other presenters have included former Commissioner Deborah A. Gist, Rhode Island Department of Education, Pamela Goode, an associate editor of American Libraries Association, Keith Stokes, former Executive Director of the Rhode Island Economic Development Corporation and Attorney Veronica Hobbs, Director of the Domestic Violence Training & Monitoring Unit for the Rhode Island Supreme Court. CORI is very excited about the next phase of the organization as a section of RILA. The potential benefits for CORI uniting with RILA are many. An excellent example is the organizations would increase the effective advocacy for library services in all Rhode Island libraries and to improve the quality of life of all Rhode Islanders. Why not join us as we continue to better our state. For additional information on CORI, visit our blog. If you are interested in adding your voice in support, please consider joining us. To join CORI (or renew your membership), please visit the membership page. First you must join RILA at the membership level that best fits your employment status. If you are a practicing librarian, please select the salary level that best matches your income. Students, retirees, trustees and supporters can join at the $15 level. During the membership process, you will be able to join the CORI Section. Today marked a historic day for RILA as we signed Deeds of Gift with both the Coalition of Library Advocates and Cornucopia of Rhode Island as Sections of RILA, bringing together our three rich organizations! The Rhode Island Library Association (RILA) joins with other state library associations and national organizations to urge Congress to invest in the nation’s education and economy by increasing the LSTA Grants to States program to $325 million per year, or one dollar for every American, to support library services in Rhode Island and across the nation. LSTA funding in Rhode Island supports statewide services such as the Children’s Summer Reading Program, the Talking Books Library for the visually impaired, digital literacy training, and local library services across the state as coordinated by the State of Rhode Island Office of Library and Information Services (OLIS). Funding for the Grants to States program through the Institute of Museum and Library Services currently allocates $164 million to support state-based library services, approximately 49 cents per resident or about .00004 percent of the total federal budget.